With its compact design, you can wall-mount the Gigabit switch to provide convenient front access to ports and indicators. It's ideal for a wide range of applications, including tight installation areas with significant electromagnetic interference, such as control cabinets and panels. 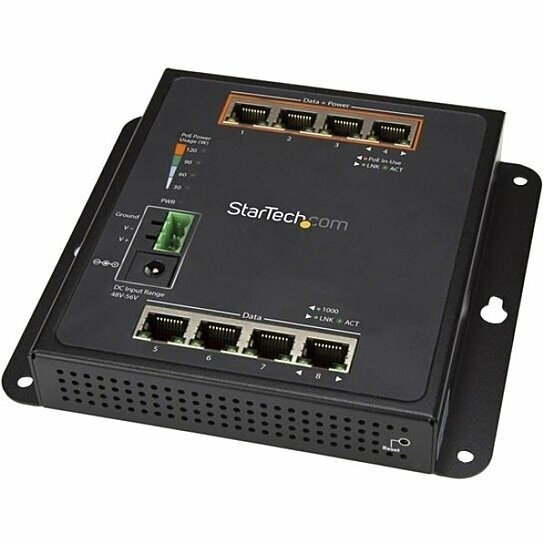 The network switch is also DIN-rail mountable. This rugged network switch features an IP30-rated metal housing and extended operating temperature range of -40C to 75C, which makes it ideal for a wide range of conditions. The sturdy metal enclosure offers durability, even in harsh industrial environments.